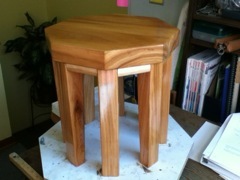 Stool #10: Built from wood salvaged from the deconstruction of the barn on our family farm in Northwestern Wisconsin. Probably Elm (American or Red) harvested in 1952 from trees that were cleared to make room for more fields on our farm. February 2012: When you de-construct an old barn I think of all the old barn boards that can be salvaged. Many people have asked me what I plan to do with all these boards (and beams). When I think of things made from old barn boards I think of 'crafty' things made from heavily weathered boards or rough hewn beams. For the most part I think it's ugly and looks like junk. I wouldn't waste my time with any of it. 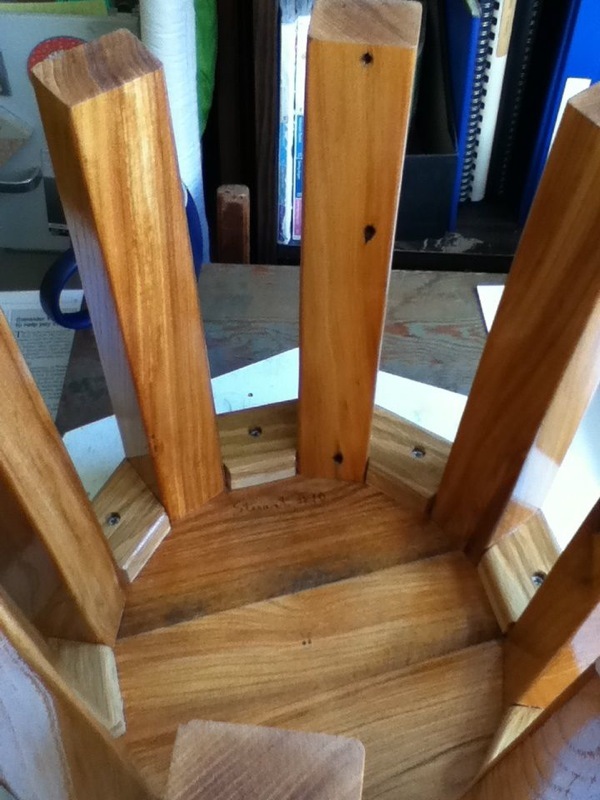 So this stool has been a real surprise to me. When I ran my plane across one of the rafters from the old roof and it showed this nice grain and and texture - and a hint of good color. So I thought wouldn't it be fun to make a stool from it. It will be a little adventure. 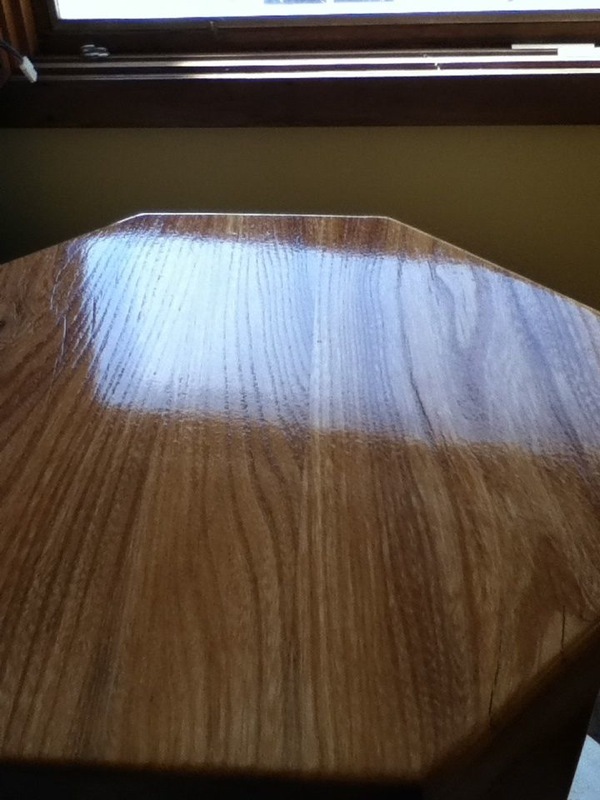 I like the character of this wood. The color is reder than I expected. It has a nice grain. There are a few hairline cracks in the surface but I can live with that seeing as how this wood has worked hard for the past 60 year holding up a barn roof. End grain of the Elm. Some of the roughness exposed on the underside. View of the underside shows some of the original roughness of the wood as it was used in the roof. I didn't plane this down completely to retain some of the character of the barn board. 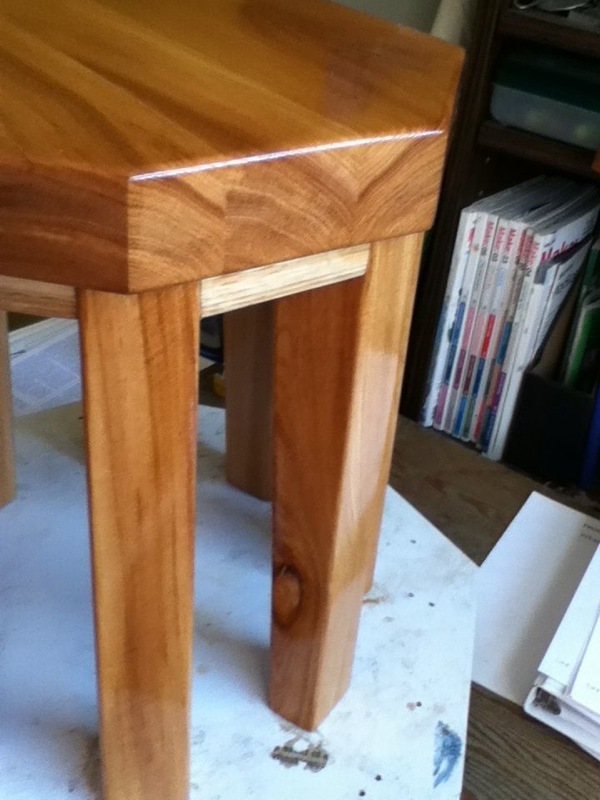 I used some black cherry for the leg braces because these pieces are very important to the strength of the stool. I didn't have any pieces left from the rafter board after cutting out the top and leg pieces that I thought were strong enough to use for these blocks. Now that I see the difference in the look of the Cherry pieces I wish I had looked a little harder for Elm pieces. 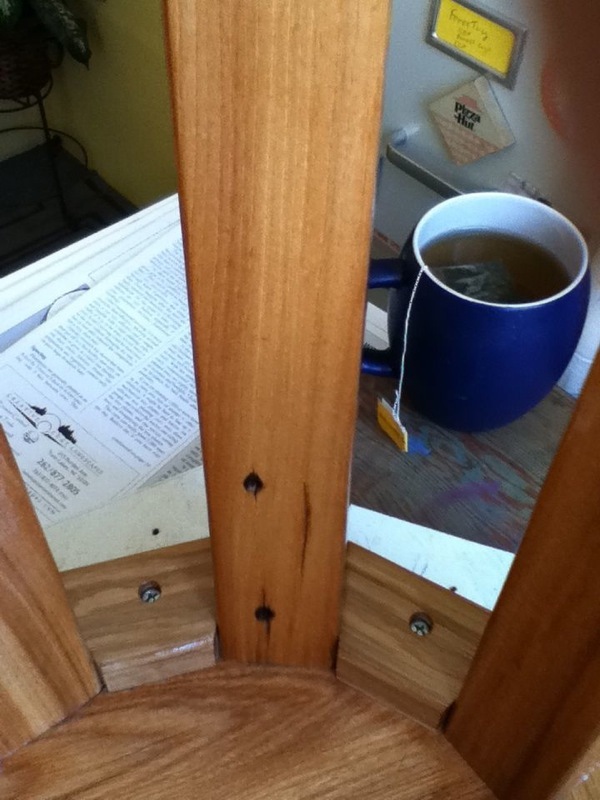 For the first time, I have started to sign my first name to these stands and stools with a wood burner (soldering iron) along with the serial number of the piece. I have used pieces of this board that have the nail holes to retain some of the character of the construction of the barn. These holes are exposed on the inside of the legs when viewed from the underside. I think this is important because otherwise the wood is so pretty that one may forget that it has worked very hard for the past 60 years in holding up a barn roof.